At the heart of the basic questions we can ask in Christianity lies this fundamental one: How do I recognize God’s voice? How do I hear it for myself? And on the heels of this one rides another one: Does God even speak today? How can we be certain? 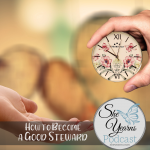 Lean in and listen as Cheri Strange helps answer these questions and more in today’s episode of the She Yearns Podcast in the series, How Do I Do That? Thanks for coming along! This episode is part of a new series, How Do I Do That? that hopes to meet you in the most basic Christian disciplines. 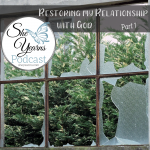 You can now find How to Recognize God’s Voice and other episodes of the She Yearns Podcast from iTunes, GooglePlay, Stitcher, or SoundCloud. Just click on the links below! As always, you can scroll down and listen right here!